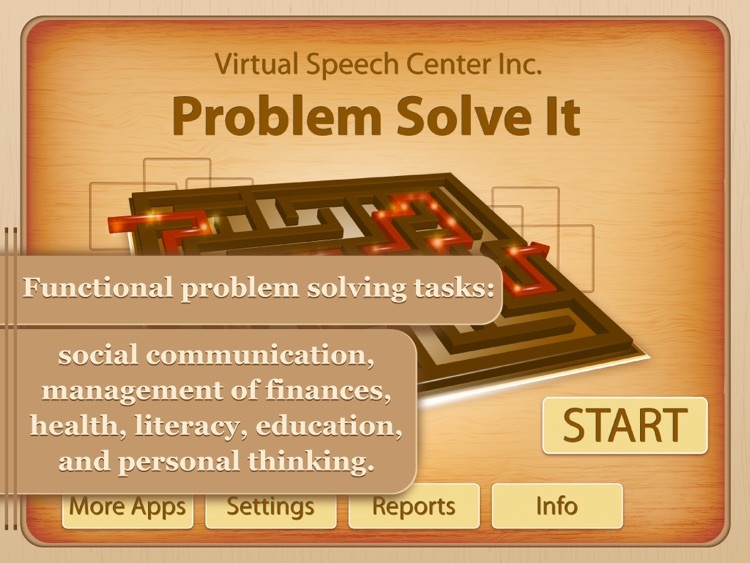 Problem Solve It by Virtual Speech Center Inc.
Research suggests that performance on cognitive tasks resembling daily challenges (i.e. 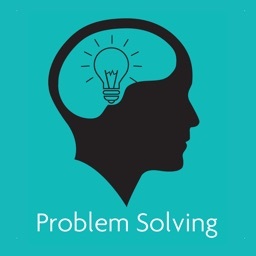 everyday problem-solving tasks) is a better indicator of functional cognitive abilities in individuals with cognitive deficits (e.g. Gold, 2012; Kimbler, 2013). 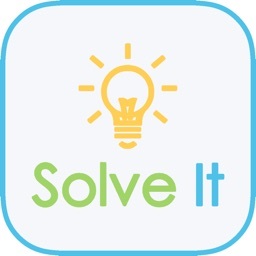 The Problem Solve It app is designed to help individuals with cognitive impairments resulting, for example, from a stroke or early stages of dementia. 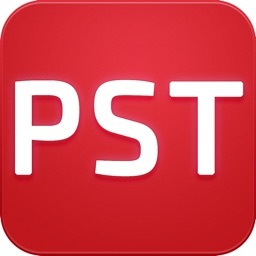 The problems selected in this app are functional in nature and relate to social communication, management of finances, health, literacy, education, and personal thinking. 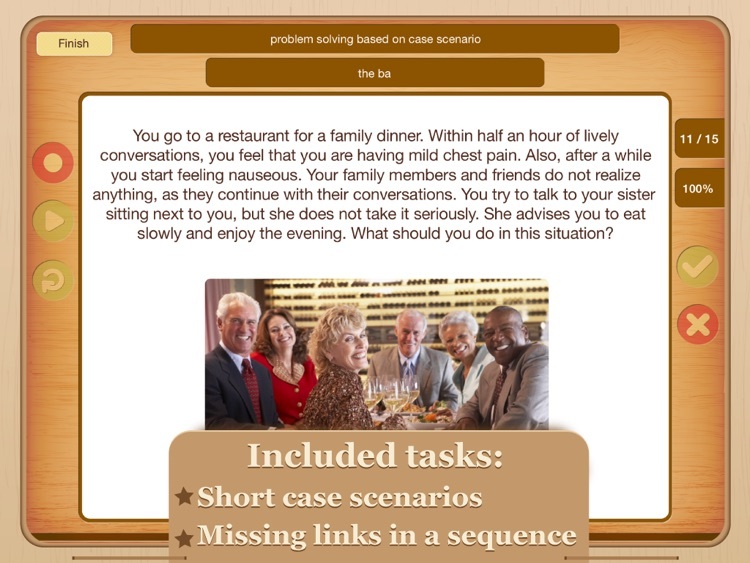 Problem solving is an important skill in our day-to-day activities, and while performing various tasks in this app such as problem-solving based on case scenarios and sentence completion with “if,” the user will be able to identify the problem, examine the possible options, and think creatively to seek strategic approaches to problem solving. 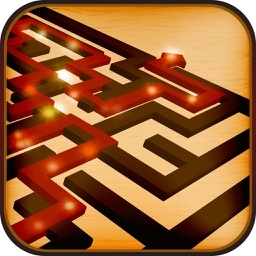 The app has six different types of tasks geared toward problem solving. The tasks pertain to everyday math problems, analysis of short scenarios, case-based solutions, sentence completion, missing links in a sequence of activities, and predictions of problems in given scenarios. 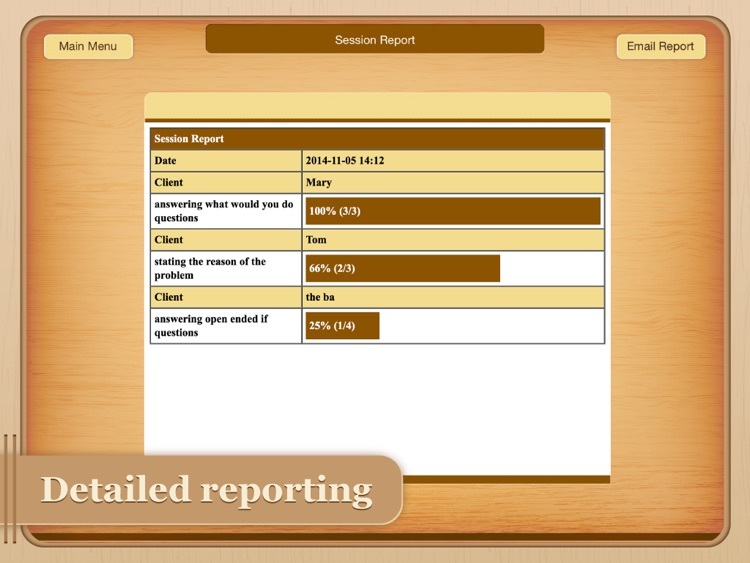 Problem Solve it is engaging, with real photographs, multiple-choice options and open ended questions. Gold, D. A. (2012). An examination of instrumental activities of daily living assessment in older adults and mild cognitive impairment. Journal of Clinical and Experimental Neuropsychology, 34, 11-34. Kimbler, K.J. (2013). Everyday Problem Solving and Instrumental Activities of Daily Living: Support for Domain Specificity. 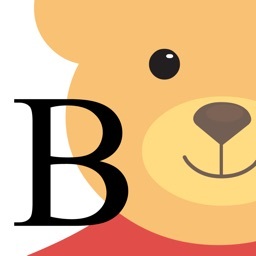 Behavioral Sciences, 3, 1, 170-191. 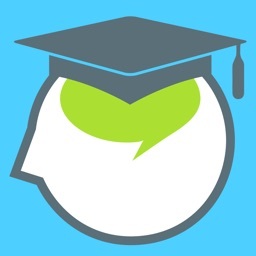 Developed by: Virtual Speech Center Inc.